Before I started my serial cooking attempts, I have never truly paid much attention to the different types and the price of onions. 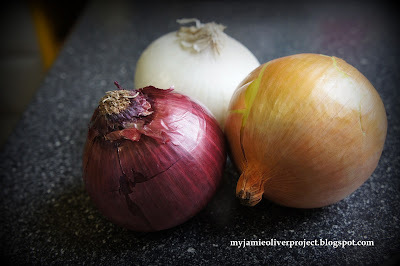 Usually, I just get the standard red medium sized onions that can be abundantly found in the local wet markets or most grocers / supermarkets here in KL. Yellow onions are the most popular cooking onions because they add excellent flavor to most stews, soups, and meat dishes. In fact, typically when a cooked recipe calls for onion, yellow onion is a safe way to go. Yellow onions have a yellow-brown papery skin on the outside and a white flesh. Yellow onion has higher sulfur content which means it will make your eyes water faster. Because the yellow onion has such high sulfur content, it has a more pungent flavor and smell, which typically makes it too strong to eat raw unless there are other ingredients to counter-balance the flavor. Most people uses yellow onions in stews, soups, sautéed dishes, and shish kabobs as they have excellent flavor when cooked. White onions have an all-white skin and an all-white flesh. They have a slightly milder flavor than the yellow onion and are a great substitute if you’re in need of an onion flavor, but don’t want it to be too powerful. White onions are commonly used in Mexican cuisines. You’re most likely to see red onions in non-cooked dishes, such as salads and sandwiches. Of the different colored onions, the red onion is the most mild, sweet onion. Red onions have the purplish-red skin which color is layered though it’s white flesh. Some don’t like to cook heated dishes with red onion because it doesn’t produce enough onion flavor to enhance the meal. 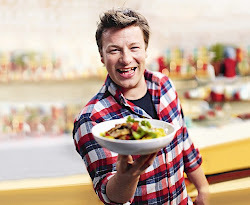 (Cooking an onion diminishes its flavor, but increases the flavor of the food around it). In general, when you’re choosing onions in the store, the best ones will be firm, have a crackly outer skin, and have a mild scent. If their scent is overwhelming it’s a good sign the onion is starting to spoil. Avoid onions with dark spots or mold as well unless you are going to use them right away. On another note, onions tend to store better in a slightly cooler, darker area, although the fridge is not recommended. The onion smell has a tendency to spoil the flavor of other foods in the fridge.